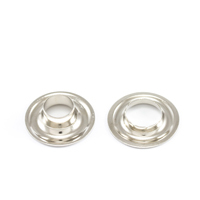 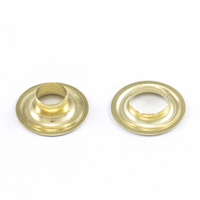 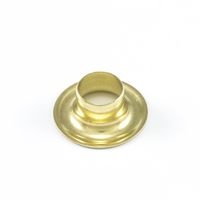 Shop special-purpose brass grommets with washers below. 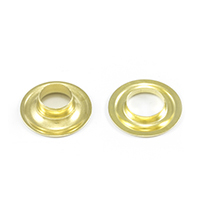 Forged from malleable brass, they bring impressive hold and corrosion resistance. 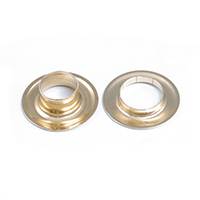 Offered in single grommets or convenient sets, the grommets and washers come in standard and nickel-plated brass options. 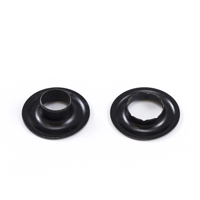 The metal grommets are specifically designed to reinforce holes in fabric. 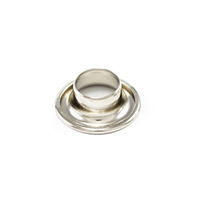 Choose from a range of styles and sizes to best meet the scope of your project. 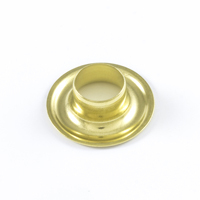 Optimal for use in curtains, drapery, and vinyl banners, these grommets stay put. 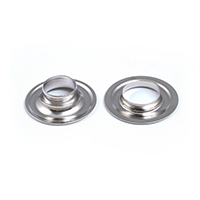 They are also great for custom awning canvas, marine fabric, and outdoor upholstery jobs. 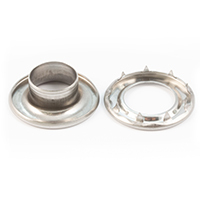 For a brief explanation on what styles fit what applications, head to our main Grommets page. 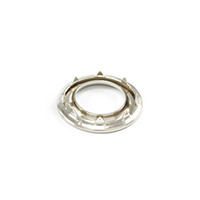 Pair with specially fitted cutters, dead blow hammers, and setting dies for fast and easy installation.